Why is everything of South American origin so damn beautiful? 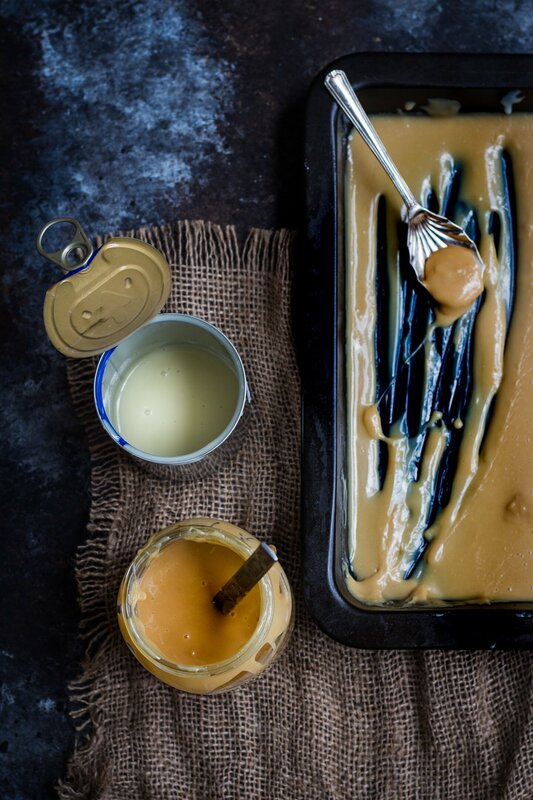 Let me introduce you to dulce de leche, a thick glossy spread prepared by slowly heating sweetened condensed milk until it transforms into a golden colour with a beautiful deep caramel flavour. Who doesn’t love a super easy one step recipe? 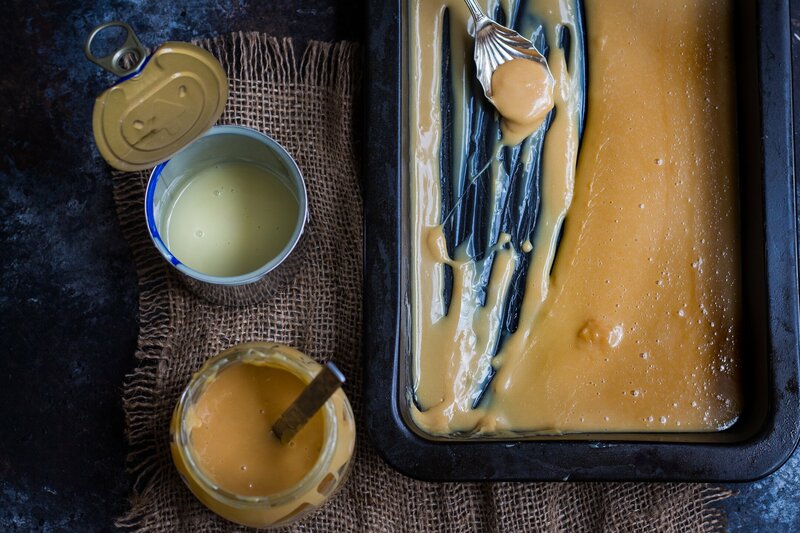 Dulce de leche is delicious spread on cakes, sandwiched between cookies or simply drizzled over ice cream. Pretty much anything goes here folks so have lots of oozy fun! 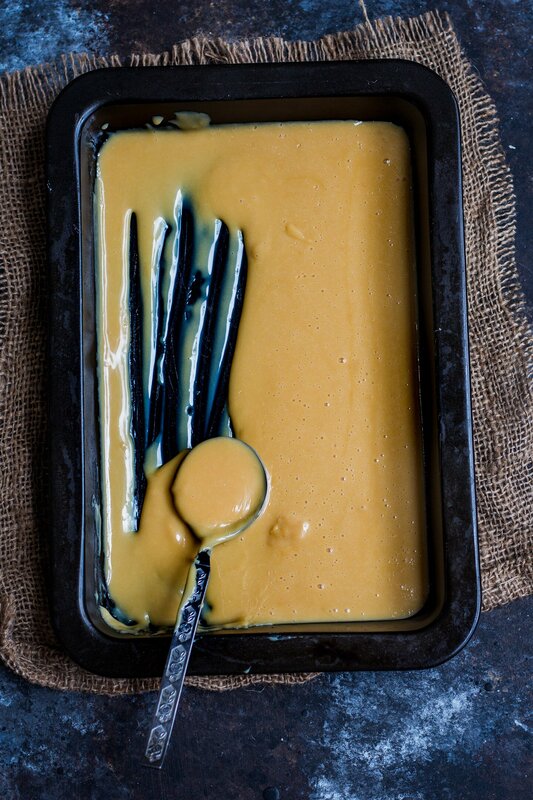 Pour sweetened condensed milk into a tray and cover tightly with foil. Place tray into a larger deep tray and half fill with boiling water. Bake for 1hr 45min, checking water level along the way. Add more water if necessary. Remove tray from water bath. 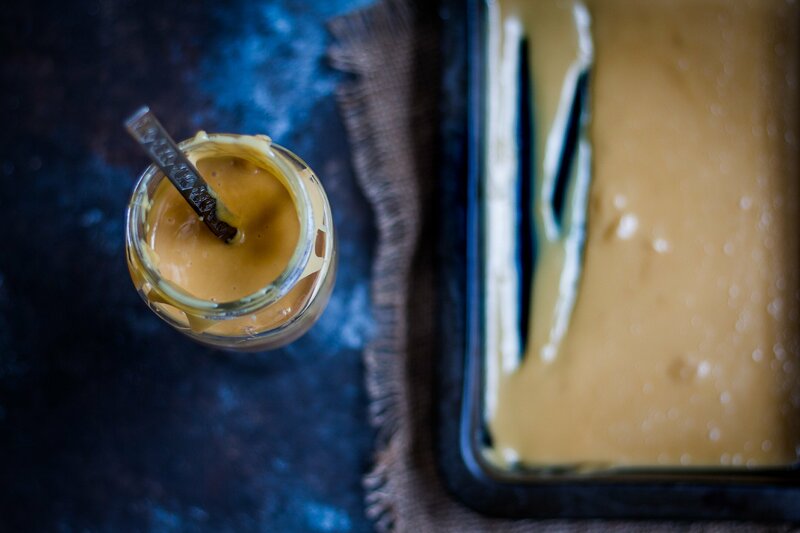 Whisk dulce de leche and pour into sterilised jar. Keep refrigerated up to 2 weeks. I made this today but it went quite lumpy and cracked on top. It was smooth in a few parts around the side. I’m just wondering what I did wrong?